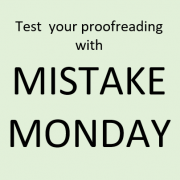 MISTAKE MONDAY for February 4: Can YOU spot what’s wrong? Can you spot what’s wrong in the image below? Please post your answer as a comment. I see this mistake way too often. https://www.investmentwriting.com/newsite/wp-content/uploads/2018/01/Mistake-Monday-2.png 404 440 Susan Weiner, CFA https://www.investmentwriting.com/newsite/wp-content/uploads/2016/12/investmentwriting_logo_2016.png Susan Weiner, CFA2019-02-04 05:30:272018-10-01 19:47:19MISTAKE MONDAY for February 4: Can YOU spot what’s wrong? COLLEAGUE’S – Your COLLEAGUE does not own anything in this sentence. This is not a good use of the possessive noun. That is correct. 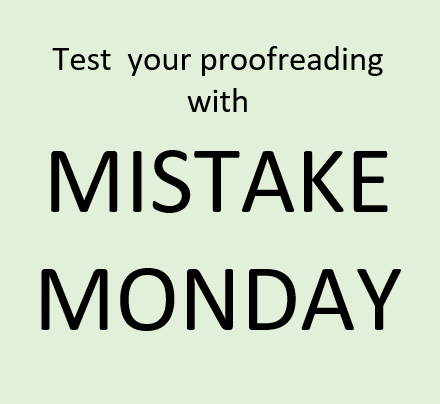 Thank you for participating in Mistake Monday, Stephen!